Although I do this very rarely, I simply had to nick this from the messengers of good bass truth, i.e. Generation Bass blog, which once more proved to be a mine of real gems and which heralded this as "mixtape of the year". I agree 100%!! I post this in case you don't know / check generation bass (which I highly recommend, always) and to write a few comments, being blown to smithereens by the music I hear. FADED Chapter 1 is the first series, featuring all exclusive re-edit material, from Voodoo Village (a label hailing from Memhpis, US) creep kings - GRIM. 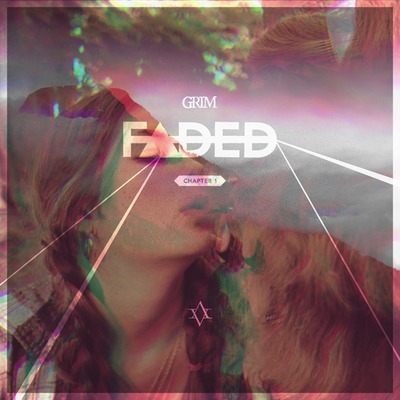 Faded comes in advance of the release of GRIM’s EP, 7sins, coming from Voodoo Village before the end of 2011. I've never heard about either of them, but after this mixtape I'm instantly hooked up and virtually dying to hear their EP.